Axis & Allies Online is available to wishlist on Steam. Take a first look at screenshots and get ready for an official adaptation of the classic board game! Axis & Allies Online is coming soon to Steam Early Access for Windows, Mac, and Linux. Next Wednesday (3/27) at 09am PT we will have an AMA session at https://www.reddit.com/r/boardgames/ about Axis & Allies Online with our community manager Julius Borisov! Hope to see you there! 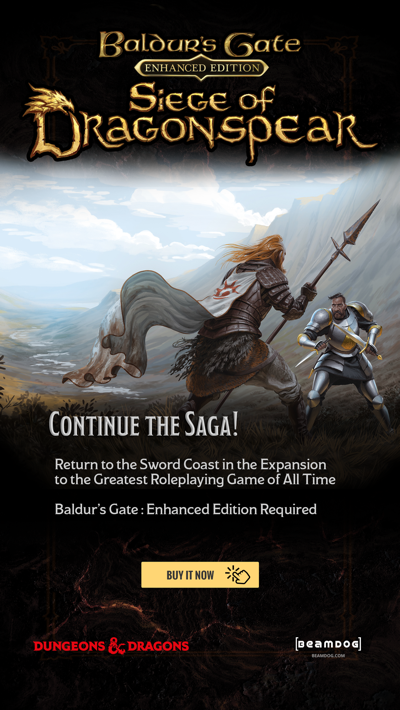 Beamdog is heading to PAX East! We’ll be in Boston from March 28 - 31. Come meet us at the Skybound Games booth, where Trent Oster, Luke Rideout, Alfonso Munoz, and Sarah Dawson will be showing a playable demo of Baldur’s Gate: Enhanced Edition for PS4 and Switch so you can try it hands-on. Check Skybound Games’ Twitter, Facebook, and Instagram accounts for more details on bringing Baldur’s Gate, Baldur’s Gate ll, Baldur’s Gate: Siege of Dragonspear, Icewind Dale, Planescape: Torment, and Neverwinter Nights to consoles. The playable demo of Baldur’s Gate: Enhanced Edition for PS4 and Switch at the Skybound Games booth will feature the voice and portrait of Evelyn from the Dice, Camera, Action! pack for the first time. 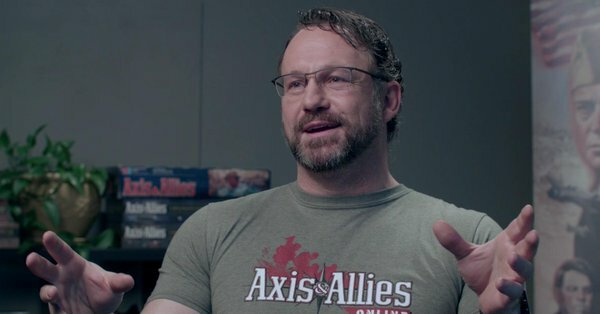 Check out the latest Axis & Allies Online interview with Beamdog CEO Trent Oster and Producer Cody Ouimet by Axis and Allies.org about the origin story of Axis & Allies Online, development insights, and more. Back in February, Trent Oster gave an interview to The Fly where he discussed Neverwinter Nights: Enhanced Edition, console ports, creating original games, and more. Check out the latest issue of community magazine Wild Surge for an interview with Beamdog Marketing and PR Lead Sarah Dawson about Axis & Allies Online! Beamdog has 50 employees as of last week, and we’re still hiring! We’re looking for Programmers, Lead Programmers, and Designers to join our team! Last week we launched the new and improved Beamdog.com which now covers both the D&D games and Axis & Allies Online. As a part of our site update, the Beamdog Client also received a small update (2.1.11 ver) to point to the Beamdog Store’s new URL. If you’re using the Beamdog Client and haven’t updated yet, it should still work normally. Kate Welch, game designer at Wizards of the Coast, moved on to play Baldur’s Gate II: Enhanced Edition in her show, Welch's Game Juice. Join her on Twitch every Thursday at 3pm PT to win giveaways! The next patch for Neverwinter Nights: Enhanced Edition is not quite ready. As we mentioned in December, once we started on the renderer and 64-bit integration in earnest, that became our main focus. We have a team dedicated to the renderer, and the 64-bit merge has happened, but we’ve got a road ahead of us before we’re going to be able to put a bow on it and make it public, as the console branch requires us to spend time adding controller support, to spend time cleaning up some long-overdue UI problems, and other changes that will have far-reaching benefits in the long run. 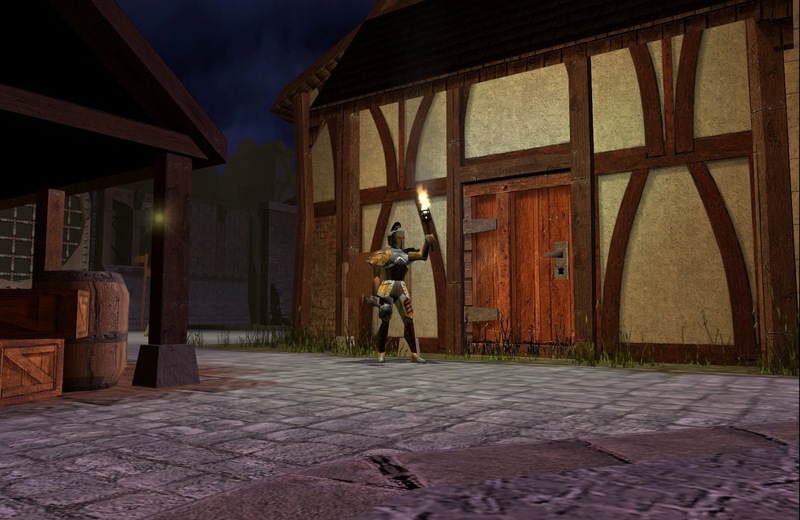 We don’t have a full feature list we can share with players yet, but the new renderer for Neverwinter Nights: Enhanced Edition is very robust, and gives us, potentially, access to all the bells and whistles one looks for in a modern game. Luke thinks players and modders will be pleasantly surprised by its capabilities. A controller version of the Neverwinter Nights: Enhanced Edition UI for PC wouldn’t be impossible. The controller branch currently is distinct from the PC branch because Neverwinter’s UI wasn’t designed with a controller in mind, meaning we have to include a number of changes to UI and camera behaviour that we would have to reconcile between the console and PC versions. But either way, it would likely be something to investigate after the Console version ships. We have a team of dedicated QA who are testing all of the builds, logging bugs, performing regression testing, and confirming both functionality and bug fixes on a daily basis. All of the development team are responsible for fixing the bugs on the features that they work on. The “New” status in the public bug tracker isn’t a measurement of time in the tracker, but an indication of whether an issue has been triaged and escalated. If a bug is listed as “New”, it means it’s still in the queue to be triaged. The Dice, Camera, Action! voice and portrait pack will introduce a new vendor - Alveus Malcanter (voiced by Mark Meer). You’ll find him in each game (Neverwinter Nights: Enhanced Edition, Baldur’s Gate: Enhanced Edition, Baldur’s Gate: Siege of Dragonspear, Baldur’s Gate II: Enhanced Edition, and Icewind Dale: Enhanced Edition) selling four items tied to the Waffle Crew. Any further items he would carry would always be thematically tied to the pack they’re distributed with. We looked into the possibility of an easter egg banter between Alveus Malcanter and Baeloth (since Mark Meer is the voice of both, as well as a few other voices in the game) in Baldur’s Gate: Enhanced Edition and Baldur’s Gate: Siege of Dragonspear. Unfortunately, it was out of the scope of what we could do for the first iteration of the Alveus Malcanter character. We’ve made significant improvements to pathfinding and collision in the console ports of our Infinity Engine games. Luke hopes to back-port these improvements to PC, but they’re not a part of the 2.6 patch for Baldur’s Gate: Enhanced Edition, Baldur’s Gate: Siege of Dragonspear, Baldur’s Gate II: Enhanced Edition, and Icewind Dale: Enhanced Edition (which is still in the works). Luke has been interested for a while in making Ascension an official “DLC” for Baldur’s Gate II: Enhanced Edition, and a few other similar mods, but there are some challenges in that: we can’t legally distribute content that we don’t own or have permission from all involved parties. In the case of some, where the people who worked on it are not in communication with us, our hands are tied. It appears that the primary reason that Catmull-Rom was dropped in the 2.0 patch was that it caused some very large performance issues with the mobile versions of the game. It is something that might be worth looking at restoring, but we’d need to do a little more research as to why we were unable to keep it in the first place. There seems to be an issue with an old implementation of Android softkeys not playing nicely with Baldur’s Gate: Enhanced Edition, Baldur’s Gate II: Enhanced Edition, and Icewind Dale: Enhanced Edition after they were updated to work with a newer version of the Android OS, which we had to do for security reasons. On some devices running Android 4.4 KitKat and earlier, the softkeys get in the way of the fullscreen game, but we’ve been unable to reproduce and fix as the issue only occurs on select devices that are no longer supported by Google. The 3.1.4 patch for Planescape: Torment: Enhanced Edition (which includes the Czech localization) has been live on Beamdog for a while now! If you have it installed via the Beamdog Client, it should either already be version 3.1.4, or updateable to 3.1.4 now. You can confirm the version number in the lower-right corner of the main menu after launching. If you have a question for Beamdog, don’t hesitate to ask us on our forums. We'll try to get answers from Beamdog Producer Luke Rideout and then will directly communicate them back to you (above are Luke’s answers to the community questions asked in February, 2019). 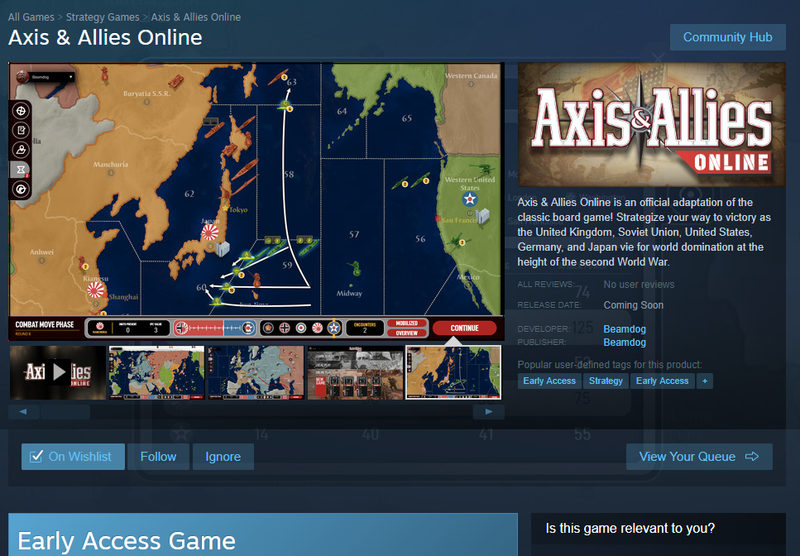 Wishlist Axis & Allies Online on Steam today! A month has passed since our last livestream. And what a month this has been! We feel it’s the right moment to share all the latest studio news and updates on our games! Our latest project is Axis & Allies Online, an official adaptation of Axis & Allies 1942, Second Edition: a tabletop classic beloved by history buffs and strategy gamers around the globe. Axis & Allies Online will be coming soon to Steam Early Access. Make sure to sign up for the Axis & Allies Online newsletter for the latest updates on community, strategy and development! We partnered with Skybound Games, the publisher behind Slime Rancher, The Long Dark, and other fantastically fun titles, to bring our D&D Enhanced Editions to console - for the first time ever. Baldur's Gate: Enhanced Edition, Baldur's Gate II: Enhanced Edition, Baldur's Gate: Siege of Dragonspear, Icewind Dale: Enhanced Edition, Planescape: Torment: Enhanced Edition and Neverwinter Nights: Enhanced Edition will all come to Xbox One, Nintendo Switch, and PS4 in 2019! 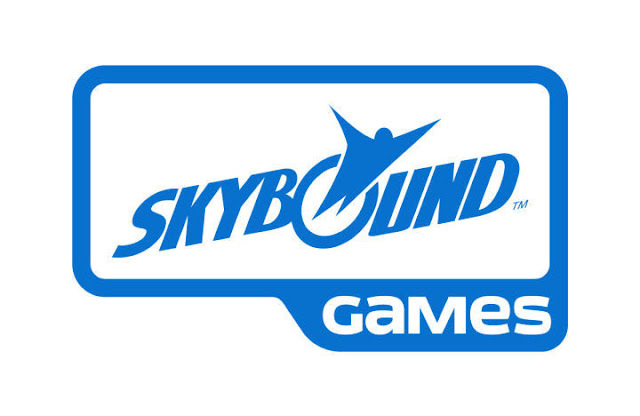 Check out the full announcement by Skybound Games here. Your beloved D&D classics are coming to console! We've been hard at work on the new shader pipeline for Neverwinter Nights: Enhanced Edition that will eventually debut in the new renderer. Check out an early technical demonstration and let us know your thoughts, custom content creator or otherwise! Neverwinter Nights: Enhanced Edition has been nominated for Best Digital Game and Best Narrative in the Design and Game Awards. Please vote for NWN:EE if you think it should win! Celebrate GOG.com’s Lantern Festival Sale! Get up to 52% of Baldur’s Gate: Enhanced Edition, Baldur's Gate II: Enhanced Edition, Baldur's Gate: Siege of Dragonspear, Icewind Dale: Enhanced Edition, Planescape: Torment: Enhanced Edition and DLC! Save up to 33% on Neverwinter Nights: Enhanced Edition and its DLC! Kate Welch, game designer at Wizards of the Coast, plays Baldur’s Gate: Enhanced Edition (and will soon play Baldur’s Gate II: Enhanced Edition) on Twitch every Thursday at 3pm PT in her new show - Welch's Game Juice. Join Kate to have fun with D&D and win prizes! These screenshots show a glimpse of changes which will come to NWN:EE with the new renderer (everything is still in development). The 2.6 patch for Baldur’s Gate: Enhanced Edition, Baldur’s Gate II: Enhanced Edition, Baldur’s Gate: Siege of Dragonspear, and Icewind Dale: Enhanced Edition is still in development. We’ve explored the possibility of Catmull-Rom Bicubic scaling, as well as as a few other solutions for scaling (eg. ESRGAN scaling) for the Infinity Engine Enhanced Editions, but haven’t pulled the trigger yet on implementing either. 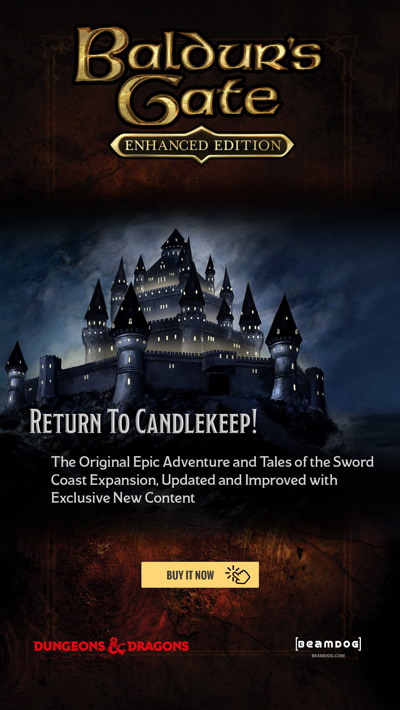 We can’t get into any specifics regarding new story content for Neverwinter Nights: Enhanced Edition, but there are things currently in the works. We have one full-time writer in-house, and work with external writers as opportunities arise. We haven’t released new enhanced models to the Steam Workshop for Neverwinter Nights: Enhanced Edition in a while because with the current rewrite of the renderer we want to ensure that what we release, by way of new assets, makes the best use of it. We’ve recently done some work to update the compiler for the Neverwinter Nights Toolset. We have removed the DRM that was preventing the Premium Modules from being read by the Toolset, but there are some strange issues still which make parts of the Modules behave strangely in the Toolset. There are final steps that still need to be taken before these Modules are ready to be opened up in the Toolset. There is no ETA on this, as we’re focusing on the upcoming console releases. To chat in Neverwinter Nights: Enhanced Edition on Android, you need to tap on the chat bar, which is positioned right above the hotbar (along the bottom of the screen). The virtual joystick is a different method of moving your character around from Neverwinter Nights classic point ‘n click interface: the left half of the screen can be used like an analog joystick, to walk your character around in 360 degrees, and the right side of the screen controls camera rotation, by swiping left and right. We don’t have any specific ETA for the new UI for our Translation Tool but it’s in the works. We’ve spent a lot of our time as a studio working on adapting legacy codebases for modern systems. In those cases, we had access to the source code of the games, and we had people (involved in the development of the Enhanced Editions) that were members of the original development team, including our founders, Trent and Cameron. Looking into the past has been an interesting journey for us, but Beamdog is starting to look forward. We’re interested in working on our own original products, so it’s likely that the next things you see from Beamdog will be original products, instead of more Enhanced Editions. We can’t say for certain what the next project is. Right now we’re looking at our options. We’d like to thank all our players and followers for their patience. We’re deep into development on console versions of all of our Enhanced Edition games. We’ve got a dedicated team working on all of Baldur’s Gate, Siege of Dragonspear, Baldur’s Gate II, Planescape: Torment, Icewind Dale, and Neverwinter Nights to get them ready for release on consoles, and that’s taking up the larger part of our company resources. Those that aren’t on those projects, are hard at work on Axis & Allies Online. There are some resources still looking at PC (for the Infinity Engine games), but in the short term, console is our main directive. The 2.6 patch has been a long road, which we still haven’t reached the end of either. We’re extremely grateful to all of our fans for their understanding, and continued love of the games. 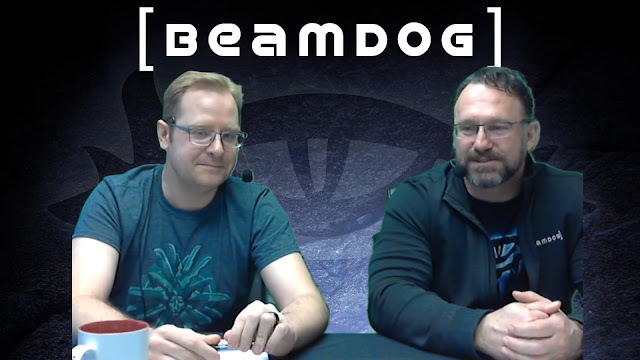 If you have a question to Beamdog, don’t hesitate to ask on our forums. We'll try to get answers from Beamdog Producer Luke Rideout and then will directly communicate them back to you (above are Luke’s answers to the community questions asked in January, 2019). Make sure to sign up for the Axis & Allies Online newsletter for the latest updates on community, strategy and development! Follow Axis & Allies Online on Twitter and Facebook! 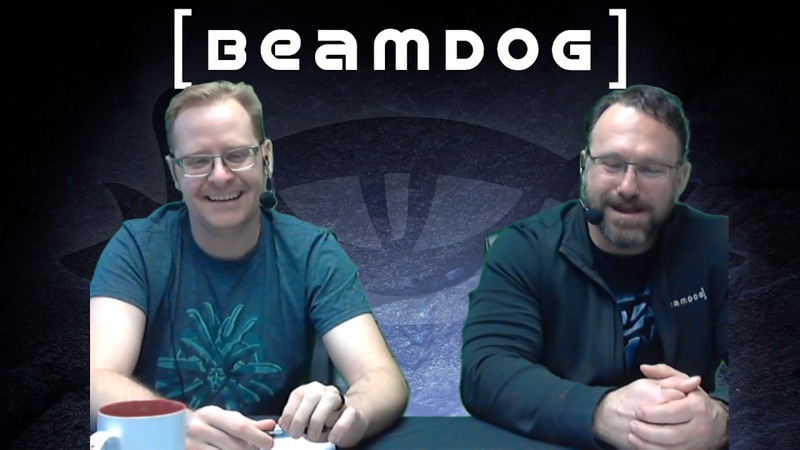 Today Beamdog CEO Trent Oster and Marketing & PR Manager Lee Guille shared the latest studio news and updates on Neverwinter Nights: Enhanced Edition and Infinity Engine games. 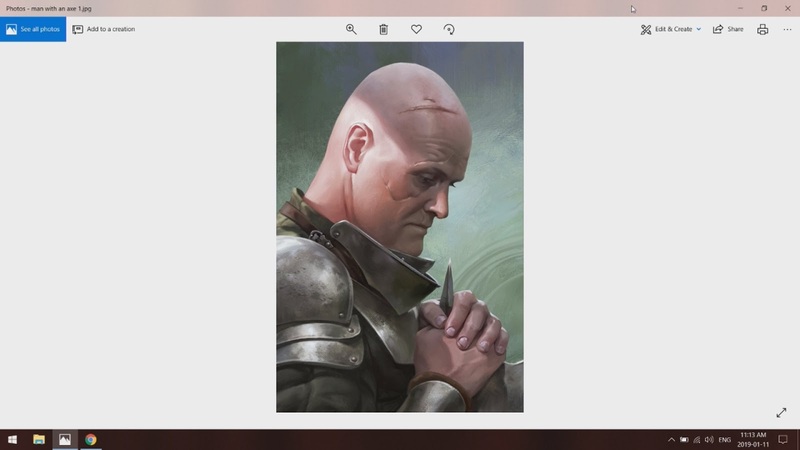 They read a few winning stories from the Baldur’s Gate: 20-Year Anniversary Contest and showed a community portrait that will be added to the Beamdog Enhanced Edition Family of games for free later in 2019. If you missed the Winter Sale, this is your chance! All our games, soundtracks, and DLC are on sale at Beamdog.com and Fanatical! Get up to 66% off Neverwinter Nights: Enhanced Edition and DLC, and save up to 75% on Infinity Engine Enhanced Editions and DLC! We moved in to a new office and are hiring! If you’re a Project Manager, Web Developer, Programmer, Lead Programmer, or Technical Artist - apply! During the Baldur’s Gate: 20-Year Anniversary Contest we heard more than 500 amazing stories from fans sharing their Baldur’s Gate memories. Read a few of our favorites here! We want to know what you want to see during our livestreams in 2019! Design chats? Community & developer interviews? Tips & tricks, lore, & easter egg segments? Pre-recorded segments at Trent’s forge? Us playing games? Let us know on Facebook, Twitter, and the forums! The 2.6 patch for Baldur’s Gate: Enhanced Edition, Baldur’s Gate II: Enhanced Edition, Baldur’s Gate: Siege of Dragonspear, and Icewind Dale: Enhanced Edition in 2018, is coming soon along with the Dice, Camera, Action! Voice and Portrait Pack and the Beamdog team pack. We’re happy to announce the 3.1.4 update for Planescape: Torment: Enhanced Edition is now available at Beamdog.com. The build is being tested on GOG right now, and we plan to bring it to Google Play and the App Store soon. Late in December we shipped Development Build 8187 for Neverwinter Nights: Enhanced Edition. Check out the patch notes here. Porting Neverwinter Nights: Enhanced Edition to 64-bit will take time, but will allow us create an iOS version of NWN:EE. A new renderer for NWN:EE is underway. According to Trent, probably you won’t see anything on this front in the next couple of months, but when you do, it’ll be massive. Cam and and the NWN team is working hard on it. 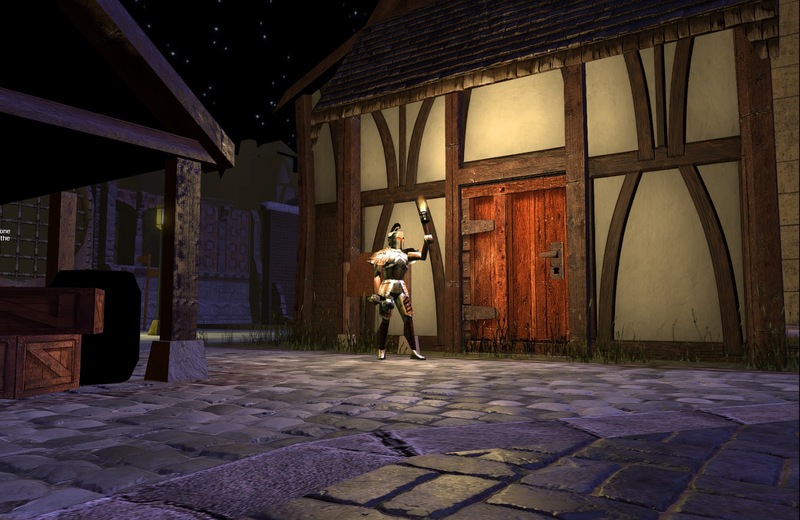 The new renderer will make Neverwinter Nights: Enhanced Edition look much better. As Trent says, we’re taking the renderer from the 2000 era to today! It’ll change a lot of things in the game, which is why we can’t provide custom content documentation before the new renderer is completed. If you encounter a bug or another issue with transferring your Neverwinter Nights server to Neverwinter Nights: Enhanced Edition, report it, and we’ll fix it! We’re working closely with the community members to make sure transfers are as smooth as possible.